Dr. John Marschhausen is relentless in the pursuit to personalize education for each student as they pursue their individual interests. He is driven by our firm commitment that growth requires each of us to embrace productive discomfort and to inspire redefining our edges to become elite. Dr. Marschhausen’s commitment to educating the whole child, to balancing academic and life skills and to living with a mindset that prepares every student to be Ready for Tomorrow is evident in the district’s leadership. He empowers every Hilliard staff member to be a catalyst for our students to become innovative thinkers and inspirational leaders. He instills values that will stand the test of time, he cultivates a passion for growth, he models how we stand up and own our behavior, and understands the power of the team. Dr. Marschhausen is committed to the fostering of Hilliard’s culture as the impetus for achieving results. Dr. Marschhausen has his Bachelor of Arts in History/Political Science from Wittenberg University and his master’s degree from the University of Dayton. He earned his Doctor of Philosophy in Leadership from Capella University. John was appointed by Governor Kasich to the Ohio Digital Learning Task Force, has served on the Ohio Senate’s Testing and Accountability Committee and has testified many times before the Ohio General Assembly. He reports directly to the Board of Education and serves as the Board’s Chief Executive Officer. As superintendent, he supports administrators and principals in their everyday jobs so teachers can do what they need to do to prepare every student for tomorrow. 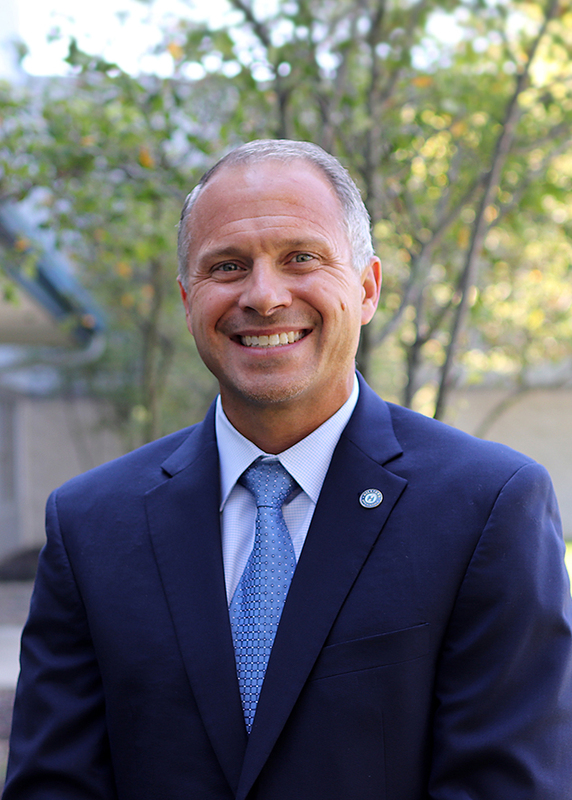 In 2018 Dr. Marschhausen received an appointment as Superintendent in Residence at The Ohio State University. In this role Dr. Marschhausen will serve as a conduit between the K-12 education community and the college faculty. John is married to Susan who is an elementary teacher in the Dublin City School District. They have two daughters. His hobbies include running, swimming, reading and spending time with his family. Mike McDonough joined the Hilliard City Schools in 2008. He holds a Bachelor of Science and a Masters of Education from The Ohio State University, a Masters of Educational Administration from Ashland University, with additional post graduate coursework from other area universities. 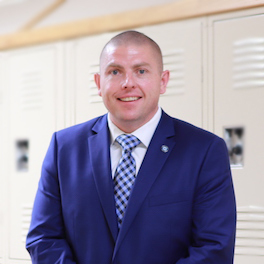 As Deputy Superintendent he maintains support systems for all phases of the Hilliard City Schools in the areas of development and implementation of business management, operations data and informational services, maintenance, buildings and grounds, along with transportation. He is a member of the Hilliard Sports Commission and oversees all district athletic and extra curricular activities. He began this position in August of 2015. Prior to this position, Mike served as the Director of Secondary Education. Mike is married to Kristin and they have two daughters. He is a cross fit athlete and enjoys spending time with his family is one of his highest priorities. 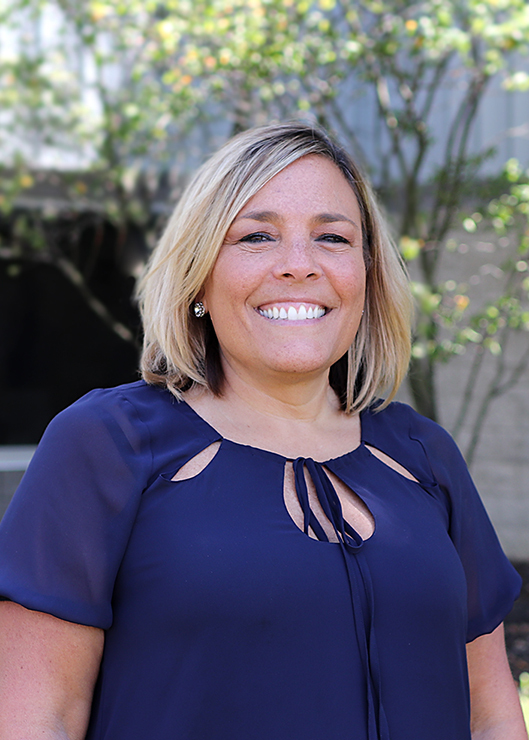 Vicky has been with Hilliard City School district since 1994 where she has served the district as a teacher, Special Education Coordinator, Principal, Student Support Services Director, Elementary Curriculum Director, and presently serves as the Assistant Superintendent. She has her Bachelor’s Degree in Special Education from The Ohio State University with a Master’s Degree in curriculum and supervision from Wright State University. Vicky also holds a principal and superintendent’s license obtained from Ashland University. As Assistant Superintendent she works with just about every aspect of a student’s life. Her main areas of focus are on parent satisfaction, data, support services, curriculum, professional development, registration and human resources. Above all, she collaborates with all departments to make sure each student has a personalized experience and is ready for the next step in life. Vicky is married to Ron and they have four children. She enjoys being with her family and watching movies together.